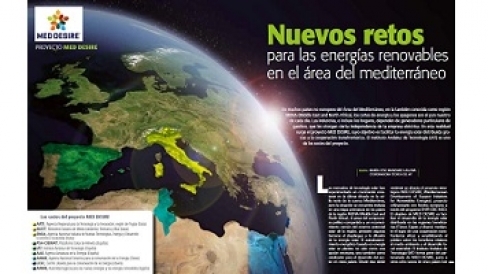 Ciudad Sostenible, a Spanish magazine dedicated to Urban Sustainability, published every three months, paper publication as well as on-line (www.ciudadsostenible.eu), dedicated an in-depth analysis to the MED-DESIRE project. The publication, released on February 2015, describes the main activities and outputs of the project, focusing on financial mechanisms, capacity buildings and certification activities. The article gives also visibility of the project partners and their role into their own countries and within the strategic project initiative.